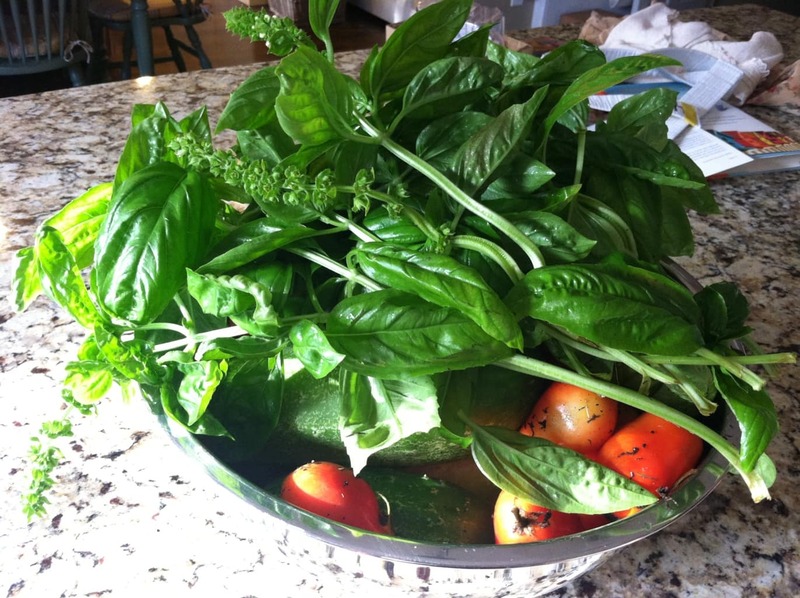 Lady and the Blog → Living → How Does My Square Foot Garden Grow? Finally Got Some Tomatoes!! How Does My Square Foot Garden Grow? Finally Got Some Tomatoes!! I have enough basil to last me ALL winter! This isn’t even ALL OF IT. This is just what I brought inside the other day. I also FINALLY grew some tomatoes. You know I was very late to enter this game. I think I missed the mark by about 2 months – but it all worked out. My cucumbers, tomatoes, and basil plants have been very plentiful. But… can I be honest with you? I just ripped out my cucumber bushes. I couldn’t HANDLE IT! They were taking over EVERYTHING. Wrapping around our cage, killing other plants by just overpowering them. I will never grow a bush / vine plant again. We’ve planted for the Fall already and I opted for all ROOT vegetables. There’s carrots, onions, beets – those sort of things. Plants that are CONTAINED. The wildness of the cucumber was too much for me to deal with. Anyway, it got really cold all of a sudden. So, let’s see if my carrots make it. Either way, I will be on schedule this spring. Now that I know what I am getting into each season. And PS – we were reading a book last night from Natalie’s library and one of the characters was planting vegetables with her mother. Natalie was so excited because she could relate with the story. I thought that was really sweet. 🙂 So happy we ended up doing a square foot garden. That’s so sweet Natalie is excited about it!